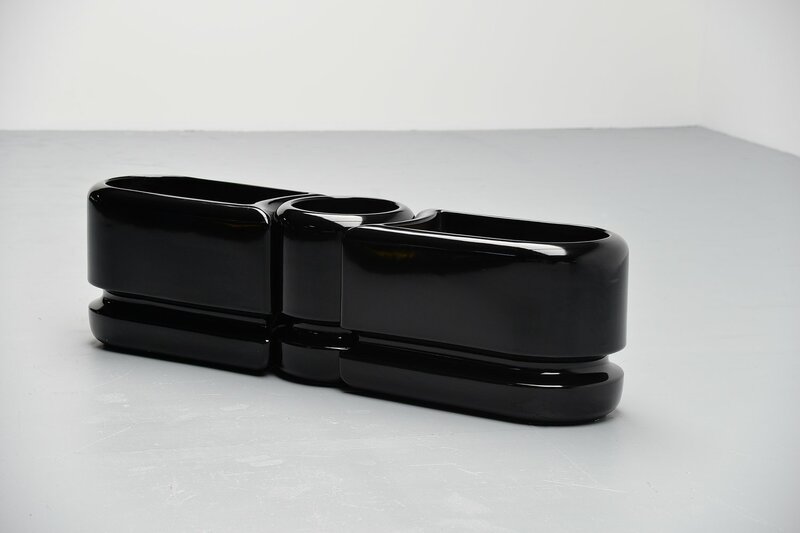 Very nice set of 3 planters designed and made by Luigi Colani, Germany 1970. 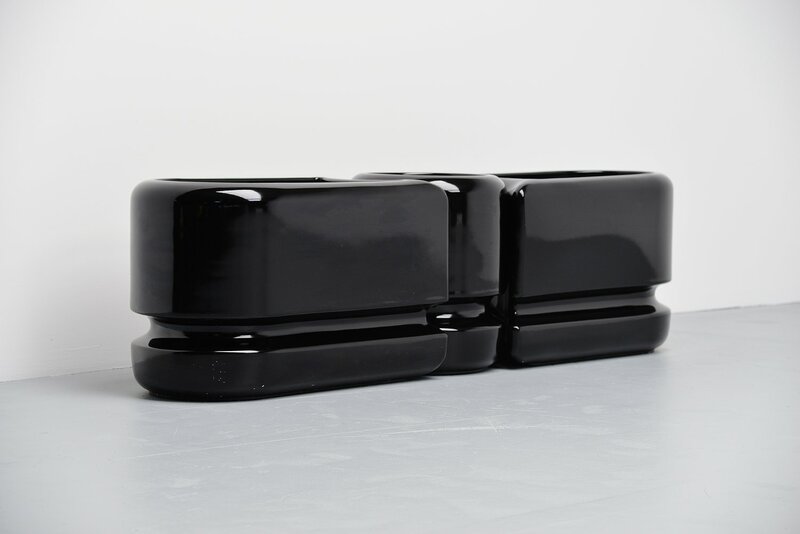 These 3 planters were designed as a modular series and were switchable. 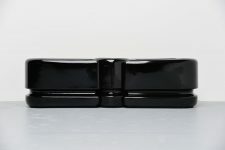 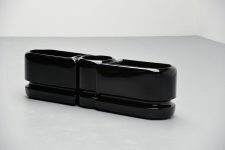 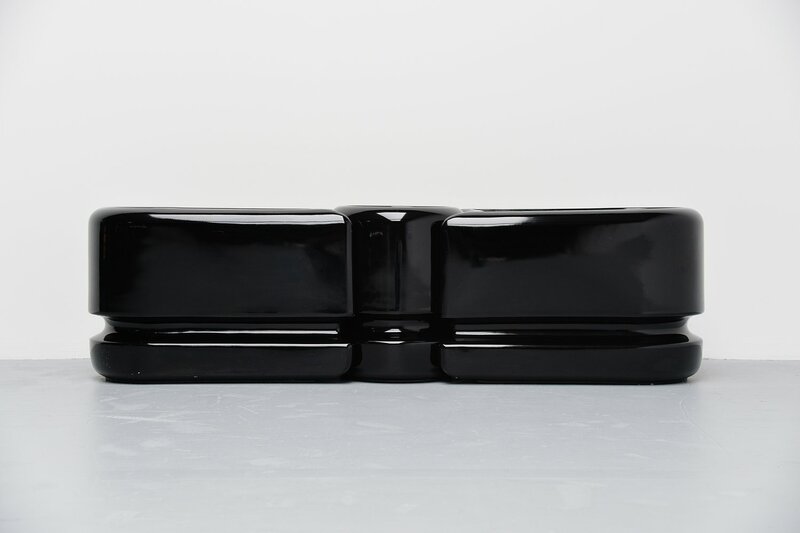 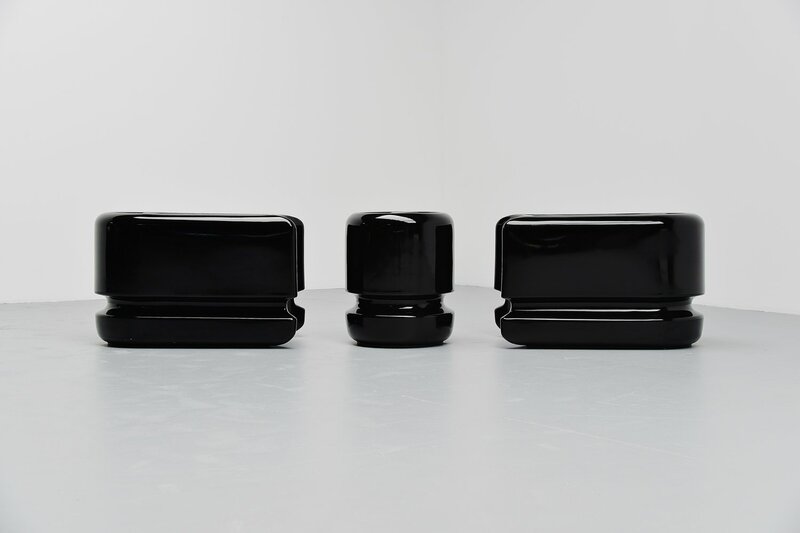 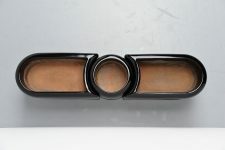 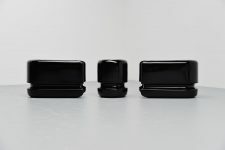 The planters are made of black lacquered plastic and are in good original condition. 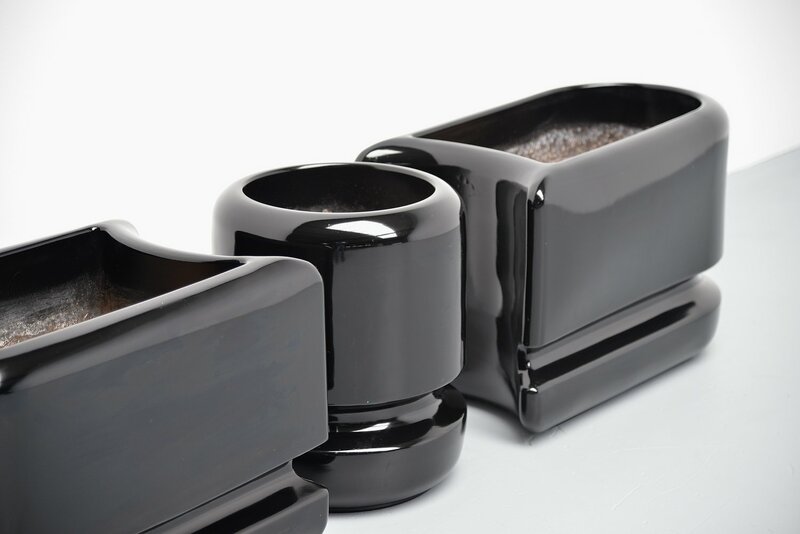 Very nice typical Colani organic shaped set, would look more amazing with some nice plants in them ofcourse.